How Hydroponics Systems Work For You, Part 5: The Continuing Saga - Rosebud Magazine Hydroponics Lifestyle Growing And Entertainment! 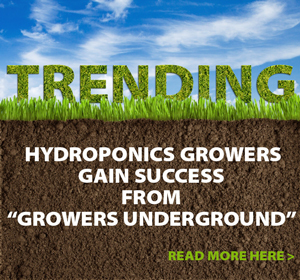 Greetings hydroponics growers and welcome back to yet another in our fascinating and useful series on hydroponics systems. This is episode number five, and this series will go on as long as we need it to so that you get your biggest yields using the hydroponics system that works best for you. We’ve already discussed that there are various big and small categorizations for hydroponics systems. One categorization divides systems based on what happens to hydroponics nutrients water after it’s been used once. Open systems dump the water; closed systems retain it to be used again several times. Some folks call these recovery, and non-recovery systems. In both systems, you have to be ultra-careful about how you mix your nutrients and maintain your nutrients water. The open system is easier than the closed system because you mix once, send the water to your roots, and then drain to waste. In a closed system, your hydroponics nutrients water goes back to storage and that’s where problems can arise. Nutrients water should be aerated, properly filtered, and temperature-controlled. Another problem happens because as you use hydroponics nutrients water the parts per million (ppm) and pH changes. Some growers top up their water with fresh nutrients to keep it at a constant ppm. When you have at top-irrigated Grodan rockwool system, your hydroponics plants’ roots are surrounded by rockwool fibers in a semi-solid rockwool mass infused by water, oxygen and nutrients. Others believe that their hydroponics plants are sucking out the nutrient elements they want, or that the missing ppm is hiding in the root zone material…so they assume they don’t need to top fresh nutrients and can just wait until the ppm has decreased significantly and then empty the reservoir and mix a fresh batch of water and nutrients. So what’s the correct strategy? 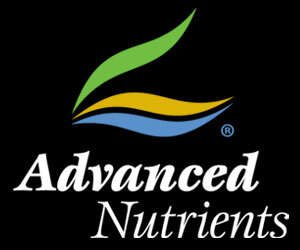 Call the manufacturer of your hydroponics nutrients and ask their tech advisor. If you use premium hydroponics base nutrients, you can mix less frequently and count on your plants getting all the essential elements they need. Now, onwards and upwards as we recall there are two main categories of hydroponics systems based on what is in the root zone. In some cases, nothing at all is in the root zone except water, air and nutrients. In other cases, the root zone has something solid in it, such as rockwool, hydroton, soil mix, vermiculite, perlite, etc. But just for the sake of confusion, be aware that aeroponics and other medium-free systems sometimes have small amounts of solid media at the top of the root zone to help hold plants in place. As regards solid root zone materials, I don’t feel so comfortable grouping hydroton with rockwool, or soil mix with vermiculite. Why? Because hydroton, vermiculite, and perlite (especially coarse versions of these materials) do not hold water, oxygen and nutrients the way Grodan rockwool or soil mixes hold them. Also because hydtroton and similarly large-grain materials are almost never used in drip irrigation systems, but rockwool is used almost exclusively in drip irrigation systems. Further, why is it that most hydroponics growers go for drip irrigation using solid root zone materials such as Grodan rockwool, or aeroponics, and the other systems are way less used? Why is it that many professional hydroponics growers use aeroponics cloning machines and then transplant into drip irrigation systems? You deserve to know, and you shall know because these and other absolutely crucial questions will be answered next week and in weeks to come when we all return for more hydroponics fun. So make sure you read Rosebudmag.com every second. Ok, well, maybe not every second, but every day. Read Part 4 of this series here. Want to spread the word about your business without attracting unwanted attention? Get these keys to discreet advertising. 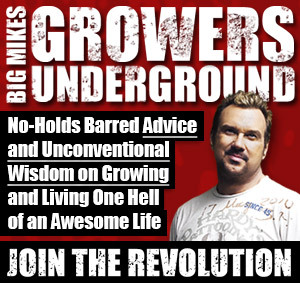 Have a strange problem in your grow room? Read this article on unusual pests & diseases and learn to combat them. Here’s a cool video on making a hydroponics system.